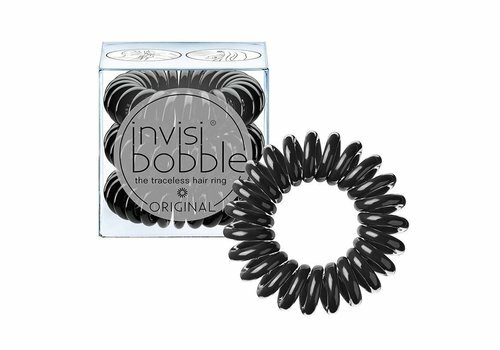 Buy Invisibobble Traceless Hair Ring online at Boozyshop, the makeup webshop! 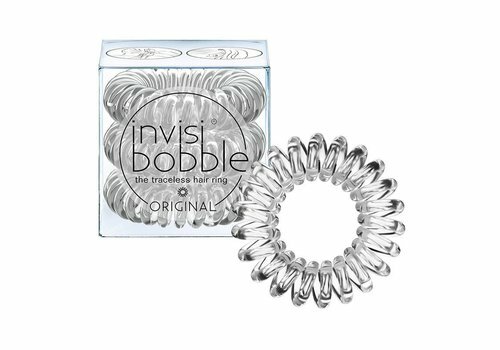 The revolutionary elastic bands from Invisibobble can not be missing from your stash! 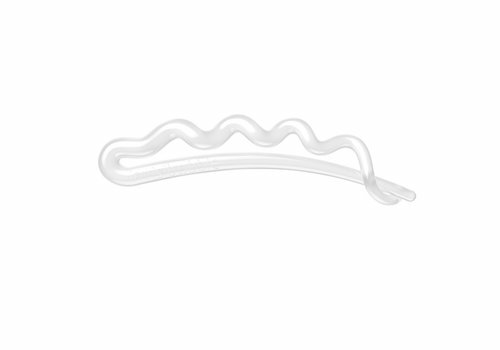 The unique shape is the secret of these rubber bands, because this leaves no kink in your hair. This is because the pressure on the hair is divided in an odd way. A common problem when wearing regular rubber bands is often a headache. 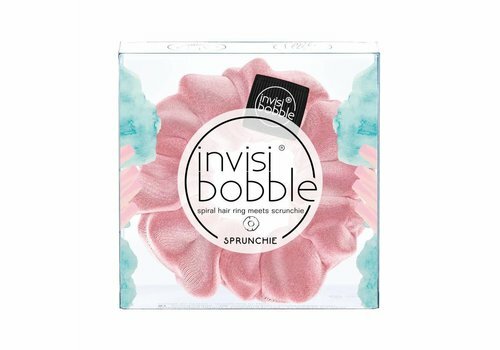 Because of its unique shape, Invisibobble has a perfect grip on the hair, without pulling. In addition, Invisibobble is kinder to the hair than normal rubber bands, because it does not contain any metal parts. The hair bows are available in all shapes and sizes. So there is something for everyone! Do you have thick and voluminous hair and do you want some extra grip during exercise? 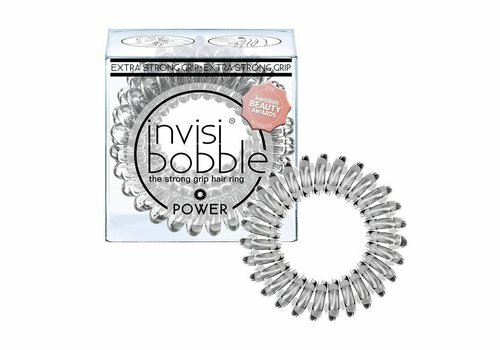 Then the award winning Invisibobble POWER is the perfect solution for you. POWER gives your hair an extra strong grip during sports, for example, without affecting wearing comfort. Can not you live without half updos and do you like to make braids in your hair? Then go for NANO, because the size and the neutral colors in which NANO is available, the rubber band nicely falls away in your hair. 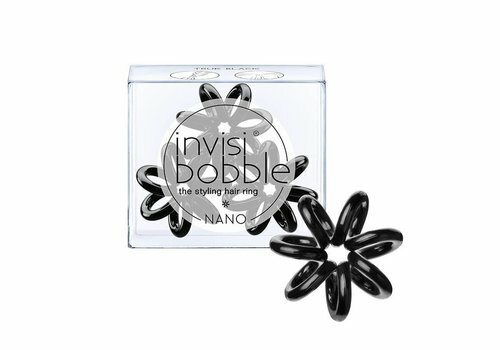 In addition to POWER and NANO, there is of course the ORIGINAL Invisibobble. ORIGINAL is common to everyone and is also available in different colors and limited editions. 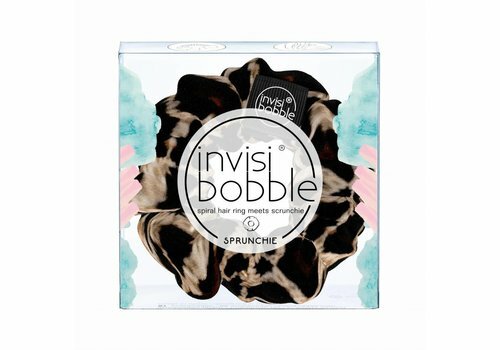 Order the Invisibobble that suits you at Boozyshop! The Invisibobble suits every outfit and every situation during exercise and your daily life. These awesome rubber bands are available in black, brown, translucent and many many more. In addition, each package contains three pieces of Invisibobbles. At Boozyshop you can count on quality products that will make your hair very happy! And when you order for 30 euros or more you will get a free gift! We make it possible for our customers to choose from a wide range of hair bows. This way you will find the perfect elastic that fits you completely. 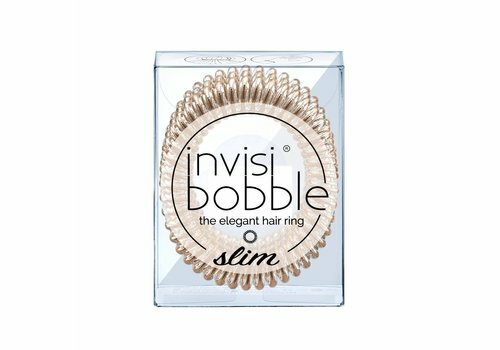 The elastics are offered in a wide range of care and budget-proof prices, so do not wait any longer and order your Invisibobble today at Boozyshop!